After graduation from Dickinson Law, she began to practice with a 19-attorney firm in Reading, where she remained until 1997. She concentrated on litigation and family law. Attorney Rowe started her own law firm in 1997. Rowe Law Offices P.C. represents clients for divorce, custody, support and related matters, estate planning and administration, business matters, and real estate issues. The firm is dedicated to excellent, compassionate client service with an emphasis on truthful and straightforward communication between client and lawyer. Currently, she has two associate attorneys on staff, two paralegals, and four support and secretarial staff who work for her. This experienced team has a tremendous depth of knowledge and skill, which benefits the clients. Attorney Rowe is admitted to the bar of the Commonwealth of Pennsylvania, the United States District Court for the Eastern District of Pennsylvania, and the United States Supreme Court. Her practice is concentrated primarily in the area of family law and divorce matters. Her extensive trial experience enables her to represent a client’s interests aggressively and efficiently, while her certification as a mediator allows her to seek favorable settlement agreements with a high rate of success. Attorney Rowe represents clients primarily in Berks, Lancaster, and Schuylkill counties; however, she has been counsel for cases in Chester, Montgomery, Lebanon, Dauphin, and Cumberland Counties. Cheryl has also represented clients who have matters pending in these counties but who live in other states, such as Maine, Connecticut, New Jersey, Delaware, Florida, and Illinois. 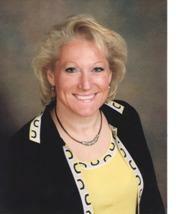 She has also represented clients on active military duty in various parts of the world. She is an active member of the American Bar Association, the Pennsylvania Bar Association, and the Berks County Bar Association. Ms. Rowe has three children, and her hobbies include horseback riding, camping, and scrapbooking.